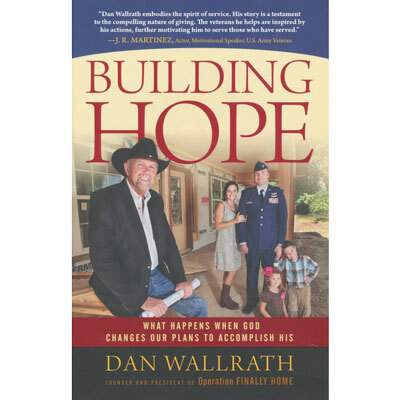 Dan Wallrath was a custom homebuilder in Texas for thirty years. Following a request to remodel the home of a wounded Marine in 2005, Dan founded Operation Finally Home (OFH), a nonprofit organization providing custom-built, mortgage free homes to military heroes and the widows of the fallen. Dan was named a CNN Hero in 2010 and was the guest of honor of Marine Corps Commandant General James F. Amos at the Marine Corps Sunset Parade hosted at the War Memorial in Washington, D.C. in 2013. Dan resides with his wife, Carol, in New Braunfels, Texas.